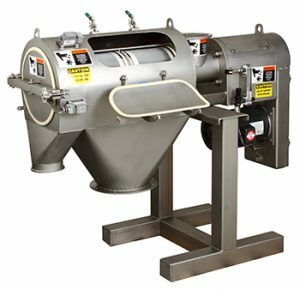 An unmatched combination of features makes the SWECO Centrifugal Sifter the finest of its kind. The unique SWECO Pre-Screen (optional) allows more material to be screened with fewer fines in the oversize, which will increase productivity and efficiency, and ultimately optimize the profits of any processing system. Seven different models are available ranging from 0.3 ft² up to 17 ft² in screen area.